001 – ServiceAboveSelfRadio – What is it? Join host Dr. Thomas Lamar of the Kingston North Kitsap Rotary Club as he welcomes Kingston North Kitsap Rotary Club president, Fredrick Branchflower, to the inaugural Service Above Self Radio program. In this episode Thomas and Fredrick explain to listeners the who, what, when, where, why, and how of this Rotary sponsored podcast. You’re Tuned into Service Above Self Radio! Welcome and thanks for tuning into Service Above Self Radio! This is the podcast that North Kitsap turns to for community-minded service projects — spotlighting our area’s clubs, groups, organizations, and individuals that endeavor to make a difference. 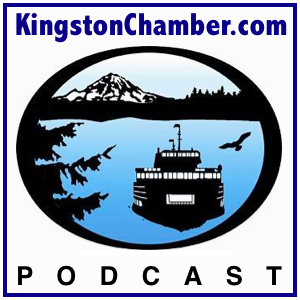 Service Above Self Radio is proudly sponsored and produced by the Kingston North Kitsap Rotary Club.